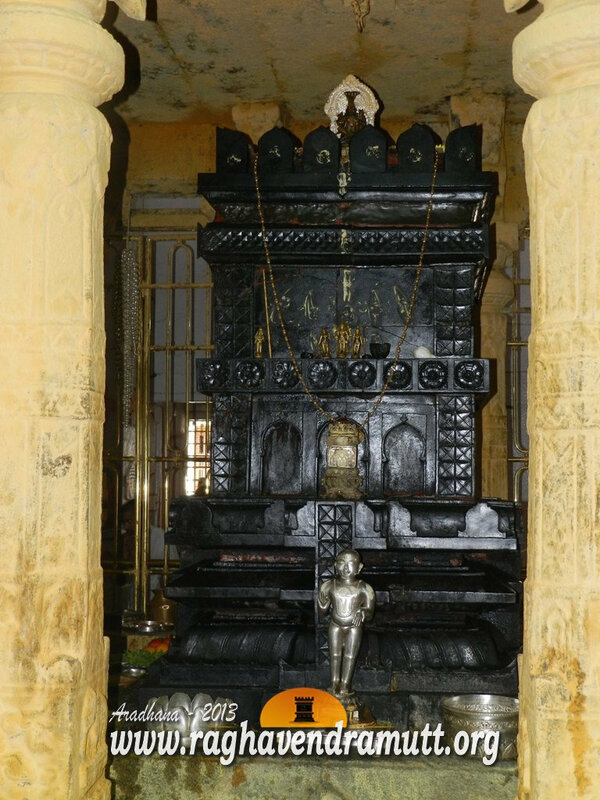 This is the first article in the blog dealing with personal miracles of Raghavendra Swamy. Let us begin with the Raghavendra Swamy temple at 5th Block, Jayanagar. A couple from Jayanagar, Bangalore, have submitted this incident. So here goes…..
We are Madhwa Brahmins and we have twins. Both are girls and they are studying in a well-known convent in Bangalore. The parents of the twins do not want their identity known and we have decided to keep it that way. What matters here is the blessing of Rayaru and his sympathy to wards the couple and not the name of the couple. This is how the story unfolded. Our first child, a girl, was born sometime in September 2004. The child was born premature and it was underweight. Both the mother and daughter were admitted to a well-known hospital in Bangalore. While the mother was discharged after a few days, the child was kept in the ICC peadiatric ward for almost a month. The child was unable to eat on its own and it had to be fed. Since its organs were not very well developed, it could not take anything except mother’s milk.. The father was allowed to see the child only for a few minutes before he was asked to leave the ICU. The doctors there told him that they had been doing their best but the child would survive only if it desired to live. The medicines and tablets to the child continued for almost a month. The doctors wanted to increase the intake and one day gave the child a little more milk. The child was unable to digest this and its liver got clogged. Soon, it developed complications and it died on early on Vijayadashami. The child was laid to rest in an unmarked place at the Hindu crematorium in Lakshmipura near Ulsoor. Deeply disappointed over the turn of events, the couple faced several other problems. They also lost faith in God and stopped going out. Recovery from the tragedy was slow and painful. Every time the couple looked at a small child, particularly a girl, they were reminded of their lost one. Though the mother appears to have come to terms with the tragedy, the father still has not forgotten the first child. He has so far never revealed to his friends that the first born has passed away. On that particular day, Vijayadashamai, he does not go out of the house and prefers to spend time alone. That is the day he has set aside for his first born. Meanwhile, days passed and one day, the in-laws of the girl went to the Rayaru Matha in Jayanagar 5th Block. The pooje of the Raghavendra Swamy Brindavana had just concluded and the priests were giving Mantrakshate and Theertha. When the in-laws approached the main priest or Archaka, he recognised them and asked the why they had not come to the matha for such a long time. The couple’s mother-in-law told the priest how she had lost her granddaughter. The priest got up, took a coconut, put Mantrakshate and flowers on it and handed it to the mother-in-law, and asked her to bring the couple. The couple, who had never visited any temple, came reluctantly to the Rayara Matha. The priest called them in and blessed them saying that they had lost one, but they would get two. An year after he predicted this, the couple are happy parents of twins. The anugraha of Rayaru continues on the twins to this day too. The twins have won several prizes in competitions and they regularly take part in contests arranged by the Raghavendra Swmay Mathas in Bangalore. They have won prizes in contests organised by the NR Colony, Jayanagar 4th Block and 5th Block Mathas. The last prize they won was at the hands of the Uttaradhi Matha seer, Satyatma Theertha, at the Narasimha Temple in Basavanagudi, Bangalore.